Description: A singer performs in front of rows of empty seats. The empty seats are meant for the spirits. 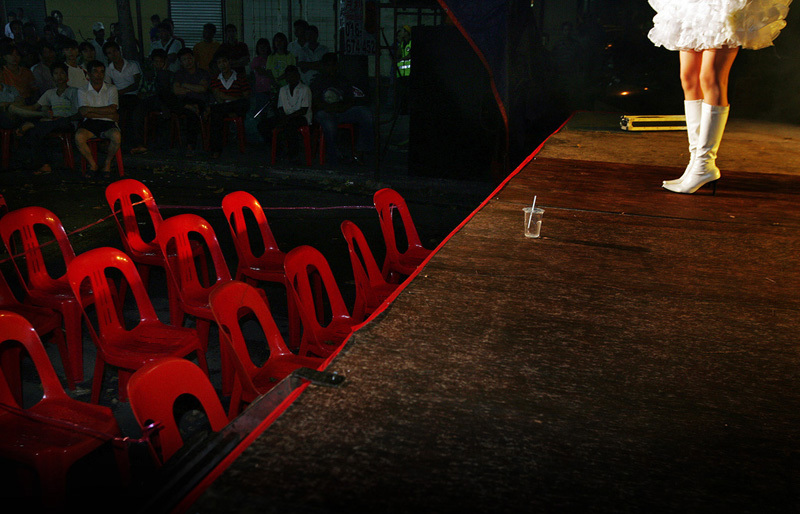 Caption: A singer performs in front of rows of empty seats. The empty seats are meant for the spirits.